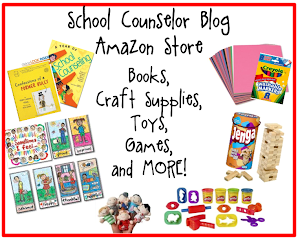 School Counselor Blog: Use Tagboard for School Counseling Inspiration! Tagboard, "the social media hub for hashtags," is an amazing site that allows you to search hashtags for multiple social media sites even if you do not have any of the social media accounts! 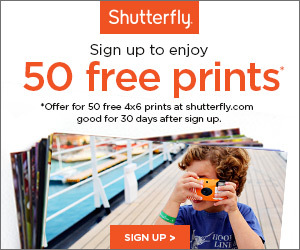 It is a great way to get inspiration and to search multiple social media sites at one time. Tagboard allows you to organize anything that has a hashtag from various social media sites. Once you search for a hashtag, you can login to one of your social media sites to save your tagboards so you can easily look them up again later. I first shared Tagboard at the Technology Smackdown at the ASCA Conference in Philadelphia. 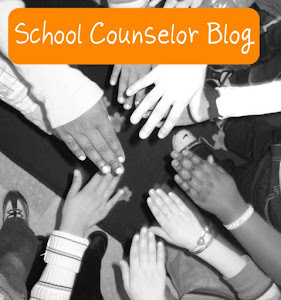 I have since created various tagboards related to school counseling. 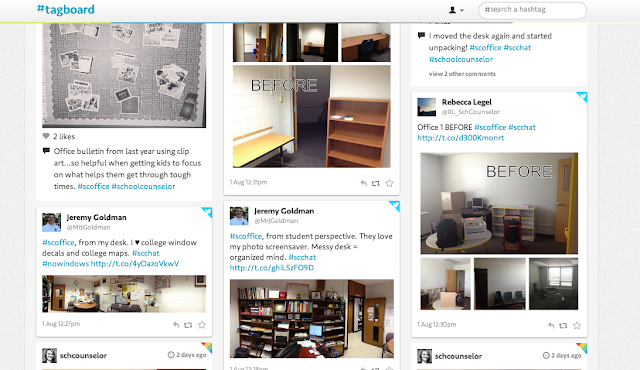 I thought it would be super cool to create a tagboard for the hashtag #scoffice to see pictures that school counselors have shared of the office as part of Get Connected for Back to School. Below is a screen shot of the #scoffice Tagboard. As you can see at the top of the page you can search across all social media sites or you can pick one and search just that site. You can search Twitter, Instagram, Facebook, App.net, Vine, and Google+. Here is another screen shot further down the page. I am very visual and I love that you can see multiple posts containing the same tag beside each other and in rows instead of just in one column (like on Twitter, Tweetdeck, or Hootsuite). Another really cool thing about Tagboard is that you can still click on links and pictures even if you do not have the social media account that the hashtag is under. 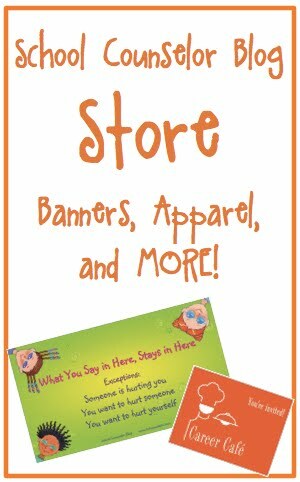 If you do have the social media account you can like, re-tweet, comment, and share the items! 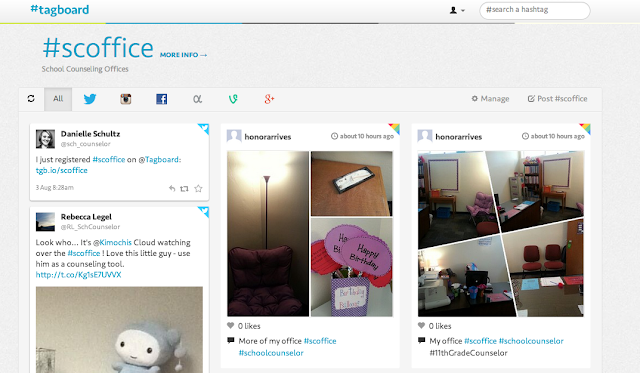 How could you use Tagboard in your work as a school counselor? What hashtags have you searched using Tagboard?